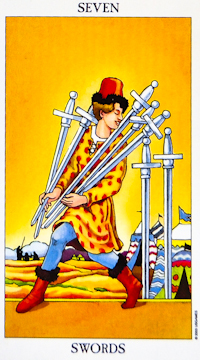 Seven Of Swords. Tarot. Free Tarot. Free Tarot Reading.